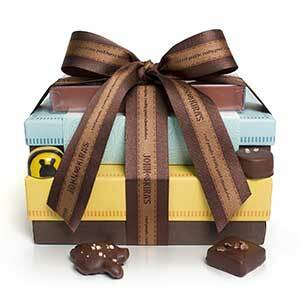 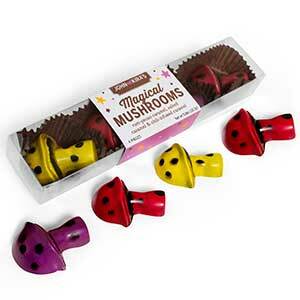 Our 4-piece box is perfect for a special friend! 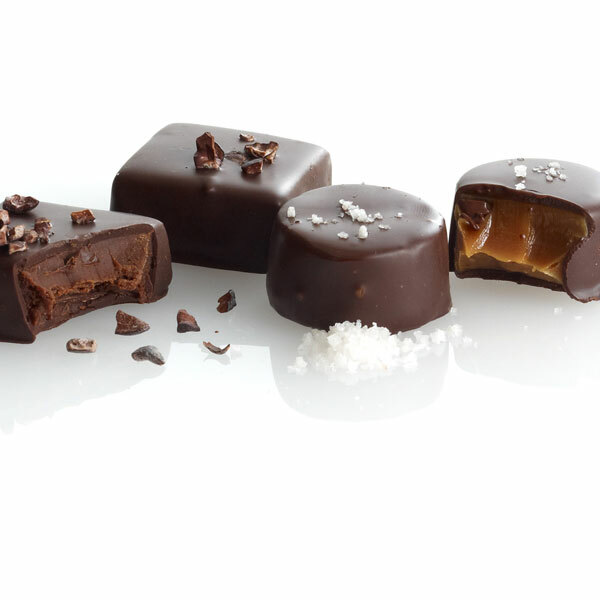 The box includes two deeply dark caramels topped with fair trade cocoa nibs and two lightly salted caramels topped with Himalayan sea salt. 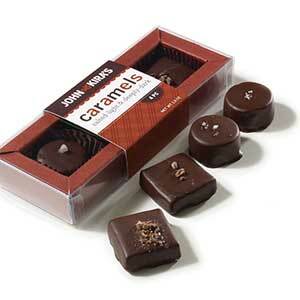 This combination makes the perfect gift for any caramel lover! 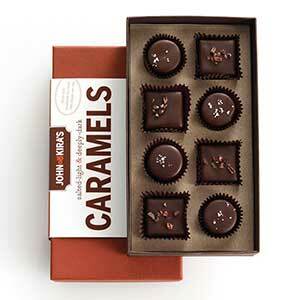 I got these and the caramel bees for my mom on Mother's Day -- she loved both. 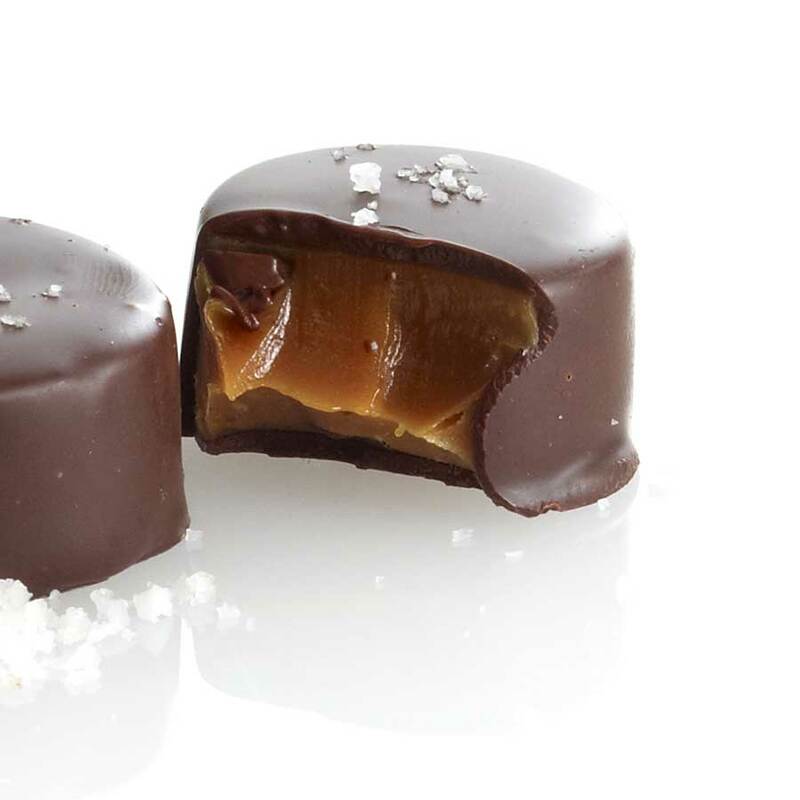 The caramel in these is a bit more dense, unlike the runny caramel in the bees, which are more of a chocolate shell. The additional of the salt is incredible, and totally hit the spot. 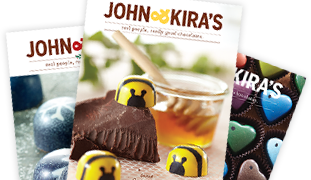 Well done, John& Kira's! 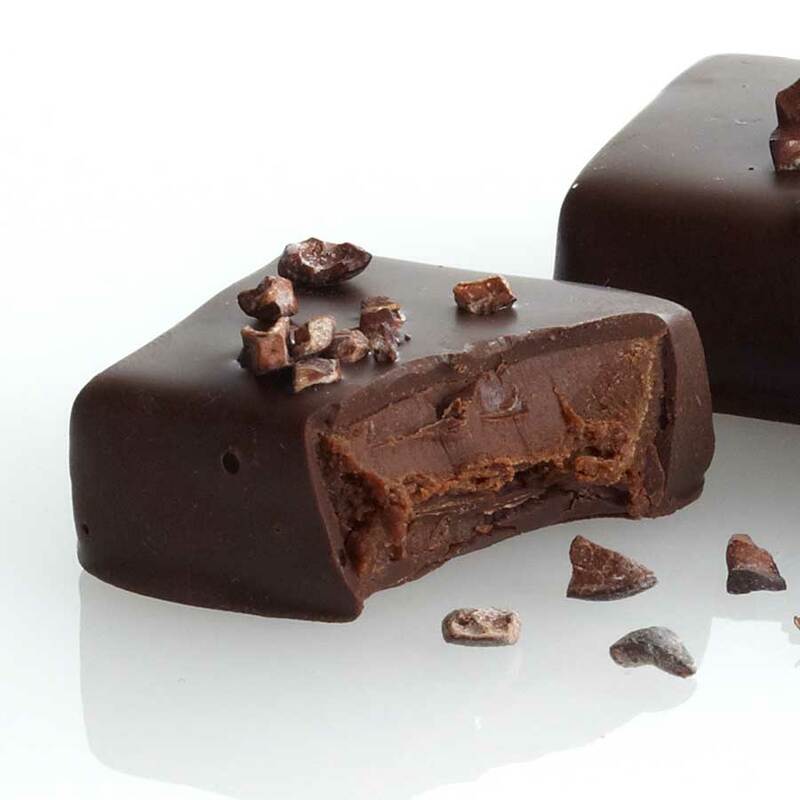 Owner Response: Thank you! And thank you for adding such a great description of the difference between the two items, our Bees definitely do have a more gooey honey caramel in contrast to the texture of these velvety dark and lightly salted caramels!